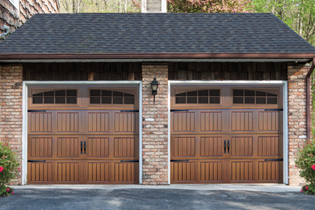 A great looking and effective working garage door will not only add to the beauty and security of your home, but it can also increase its market value. Installation of garage door or any other door in your home or office needs to be done by a professional. So, when you need assistance with installing a new garage door or if you are considering garage door locksmith in Atlanta, you can trust QuickPro Locksmith to give you an excellent service. We offer different garage door locksmith services such as commercial steel doors installation and repairs, garage door replacement, garage door locks and unlock services and more. Our experienced technicians are dedicated and ready to help you with your garage door locksmith service whenever it is needed. At QuickPro Locksmith, we can help you fix any issues you may be have with your garage door. We boast an extensive list of competencies and can handle all type of garage doors. All garage doors need repair or maintenance over time regardless of the door strength or quality. This is the more reason you need a technician that would help you inspect your garage door to determine if you would need a garage door repair. The good news is, at QuickPro Locksmith, our technicians are highly trained and licensed to handle all garage door complications and help you restore your malfunctioning garage doors. If you need a professional garage door locksmith in Atlanta to help you repair your garage door, call QuickPro Locksmith to get your job done right the first time. At QuickPro Locksmith, our services are top notch with state-of-the-art equipment to help you get your garage door fixed. Our team of professionals are always prepared to complete your job within the shortest possible time. The safety of your garage and property depends on the solidity and reliability of the lock installed. All lock are not the same and trusting your garage door lock installation to a nonprofessional is a gamble taken too far. A good garage door lock installation done by an experienced professional gives that extra peace of mind you truly deserve. Whether its garage door lock installation or even installations of its components and other door substitutes, at QuickPro Locksmith, we’ve got the right method and proper understanding of a safer garage door lock installation. Your safety is our priority; this is why we don’t only hire skilled technicians, we also ensure that they are licensed and certified to deliver top quality garage door locksmith in Atlanta. Being safe does not have to be back-breaking or expensive. 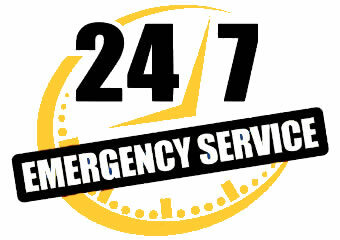 Our Atlanta garage door locksmith services are not only affordable but timely. This implies that you can fix or upgrade that your garage door lock without necessarily spending too much money or time, give us a call today.